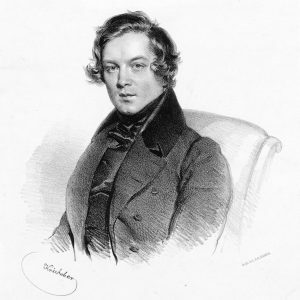 On January 8, 1843 – 175 years ago today – Robert Schumann’s magnificent Piano Quintet in E-flat Major, Op. 44 received its public premiere in the Saxon city of Leipzig. Dedicated to his wife, the pianist Clara Wieck Schumann, the quintet was written during what can only be called a manic, three-year compositional jag. Robert and Clara were married in 1840. Jig city: in 1840 Schumann composed 135 songs, including the two Liederkreis cycles, and the cycles Frauenliebe und leben and Dichterliebe! The jag, continued: in 1841 he turned to orchestral composition and produced, among other works, his Symphony No. 1 in B-flat Major; the Fantasia in A Minor for piano and orchestra (which later became the first movement of his piano concerto); the Overture, Scherzo and Finale in E Major; and he began his Oratorio entitled Das Paradies und die Peri. Then 1842 rolled around and Schumann got freaky. In what is now called his “year of chamber music” he composed – in the span of nine months – the three string quartets of Op. 41; the Piano Quintet in E-flat Major; the Piano Quartet in E-flat Major; and the first of his piano trios, a work he entitled Fantasiestücke. The Piano Quintet in E-flat was composed in under a month, between the end of September and late October. Crazy. Its speed of composition notwithstanding, it is a masterwork of the first order, something that has been recognized since its premiere. Schumann’s bi-polarity aside, what in heavens name could have inspired such an unrelenting, unremitting creative win streak? The answer to that question lies in the length and nature of Robert and Clara’s engagement and the epic relief Schumann felt at finally being able to wed (and bed) his beloved Clara. In 1828, Robert Schumann moved from his hometown of Zwickau to Leipzig, presumably to study law at the university. In reality, he never entered a lecture hall. Far away from his mother’s prying eyes, he rented a piano and found himself a piano teacher, determined – at what was a rather advanced age – to be pianistically THE NEXT BIG THING. His piano teacher was a local named Friedrich Wieck. 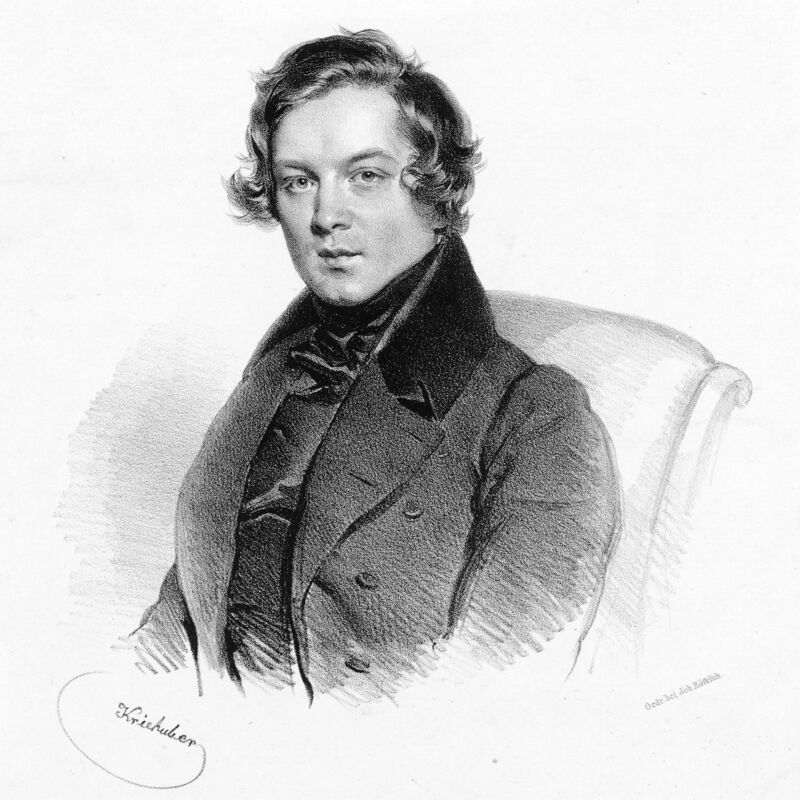 At the time Schumann met him, Wieck was 42 years old and promoting what he claimed was his absolutely foolproof method of keyboard instruction. Wieck’s “proof” of his method was his pianistically prodigious daughter, Clara. 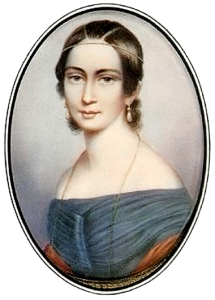 She was nine years old in 1828 when she first met the 18 year-old Robert Schumann. Friedrich Wieck was appalled by the injury. He wasn’t worried about Schumann; no, he was terrified that he would become known as a piano teacher who crippled his students through overwork. The upshot? Wieck put as much distance as possible between himself and his now former student; there was no way that he going to be blamed for the laming of that nine-fingered loser, Robert Schumann! In the meantime, Robert and Clara fell in love. They shared their first kiss in the fall of 1835, when Clara was 16 and Robert 25. Come the New Year, Schumann went to Wieck to propose marriage to Clara, at which point a great darkness fell over the land. Yes: naively, Robert had assumed that Wieck would welcome him as a prospective son-in-law. Talk about taking a barge ride down De-Nile. Of course, just the opposite was true. Wieck went berserk. Clara was not just his “daughter”; she was his life’s work, his creation, his paycheck, his validation, his future. Clara Wieck was going to be the greatest pianist of all time, not a hausfrau. End of story. Wieck threatened to shoot Schumann if he saw Clara again. He sent Schumann a brutal letter informing him that all connections between him and the Wieck household were severed. Friends kept Robert informed of Clara’s whereabouts and doings. For the next four years, Wieck employed every weapon at his disposal to get rid of Schumann – slander, deceit, libel, and eventually even physical violence. Needless to say, Schumann suffered. He smoked too much; he drank too much; and he sought consolation from professional ladies (and by doing so likely contracted the syphilis that would kill him). He earned his living as a music journalist and he composed. His compositional inspiration? Clara, of course. The situation finally came to a head in December of 1839, when Robert and Clara sued Wieck in Saxon court for the right to marry. Robert and Clara were married on September 12 of 1840, a date purposely chosen by Robert and Clara to give Wieck the greatest pain possible. You see, the day of the wedding, September 12, 1840 was the day before Clara’s 21st birthday. On September 13 – the next day – she would have been legally free to marry anyone she chose to marry. September 12 was the last possible day that Wieck could have been beaten, legally beaten, and Robert and Clara wanted to make sure that he knew it. Back, then, to the Piano Quintet in E-flat Major. The Quintet was first performed privately at the Leipzig home of Carl and Henriette Voigt on December 6, 1842. 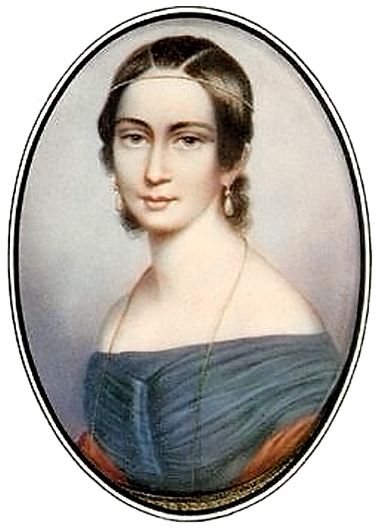 The Quintet’s dedicatee – Clara Schumann – was slated to play the piano part. But she became ill just a few hours before the performance and couldn’t perform. So Schumann’s good buddy Felix Mendelssohn stepped in and sight-read its most difficult piano party, we are told, note-perfectly. Ah: to have been a fly on that wall! Clara rallied and was, indeed, the pianist when the Quintet received its public premiere on January 8, 1843. She declared the quartet to be “splendid, full of vigor and freshness”. In this Clara could not have been more right.